The Midnight Mystery Quilt was a mystery quilt hosted by Cheryl Brickey of Meadow Mist Designs. 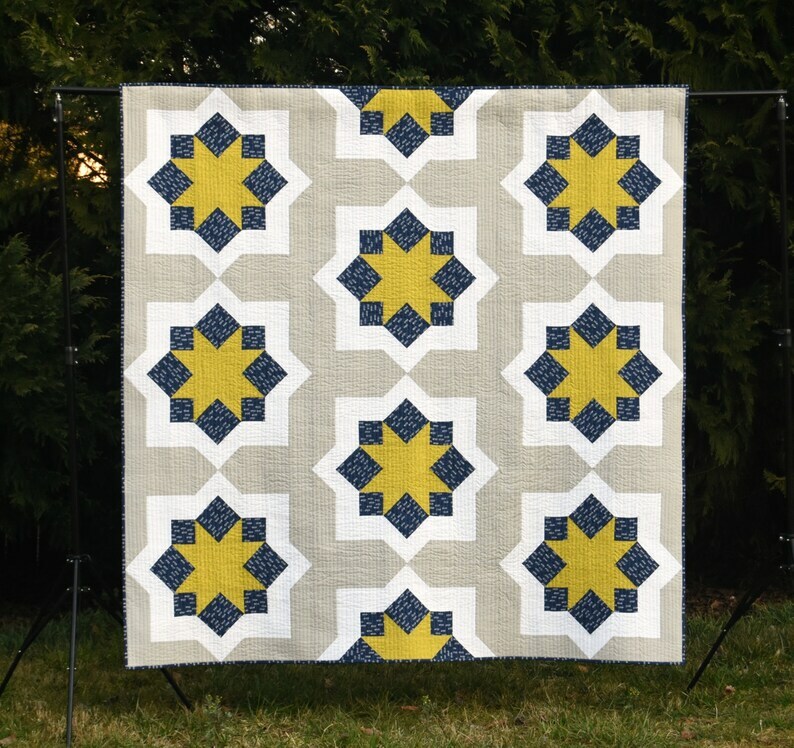 All of the instructions for the mystery quilt (the design of which was revealed in February 2016 so it is no longer a secret) are on the blog. 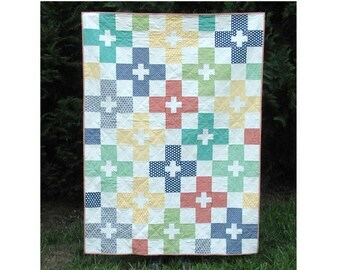 This listing is for a printer friendly pdf version of the pattern. 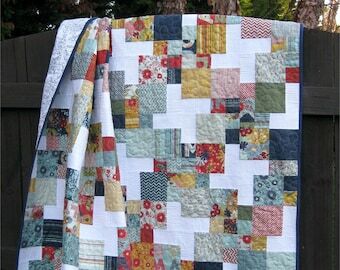 You do not need to sew this quilt as a mystery quilt, if you like the design you can make it just like a regular pattern. 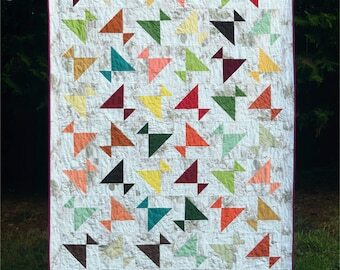 This mystery quilt is at an advanced beginner level containing half square triangles, square in a square, and flying geese, and basic patchwork. 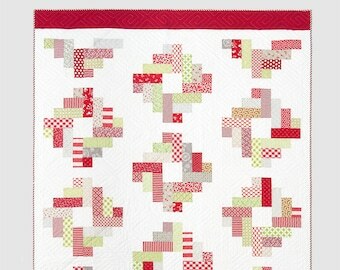 (There is no applique, Y-seams, or paper piecing in the pattern.) 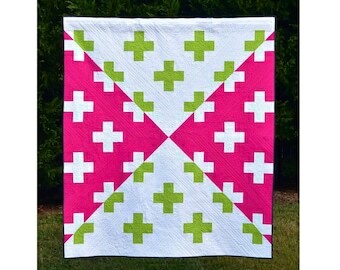 The finished quilt will be a lap sized quilt finishing at about 72” x 72”. 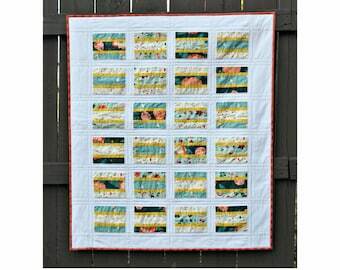 Are you looking for a good mystery quilt for your guild or other quilting group? 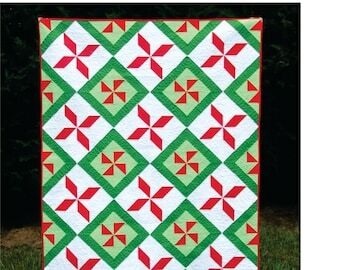 Purchasing one copy of this pattern allows the entire guild to use it, you do not need to purchase a copy for every member. 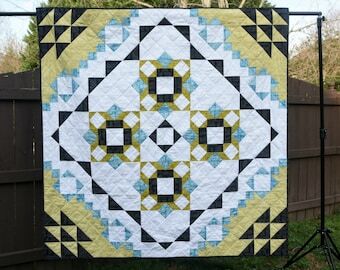 You are free to give out hard copies of the pattern and/or e-mail the pattern to members, but are not allowed to post instructions on the internet (such as on a blog or other website). Great pattern. I read through it and the instructions are nice and clear. Looking forward to making this. Adorable! Can hardly wait to make it! Thank you! If you are not happy with your purchase, please contact me so that I can make it right. I love custom orders so if you see something in the shop that you love but would like different colors / size etc., please contact me. 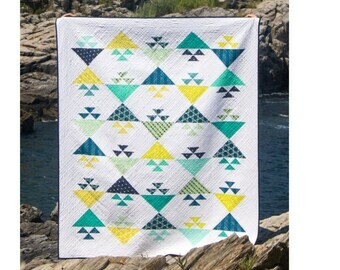 I am happy for home-based businesses to sell items made using my pattern on a small scale. 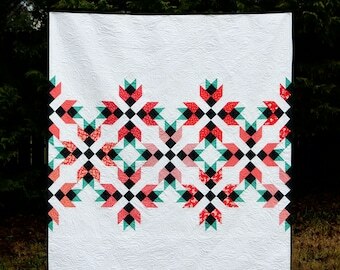 Please credit Cheryl Brickey of Meadow Mist Designs as the pattern designer, thank you.